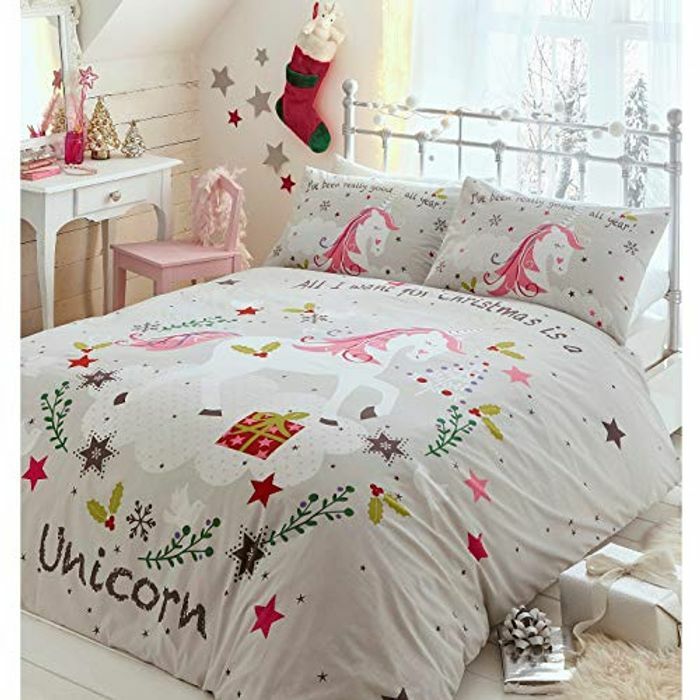 Ideal for kids, this double duvet cover set features a fun unicorn pattern designed to fit the festive season. Included with the set is one matching pillowcase. Made from machine washable, polycotton materials. Also available separately in store is a matching sherpa blanket.